negligible. The sector had an overall trade surplus of around INR 700bn in FY2017, although there was a negative trade balance of INR 174bn on auto components. 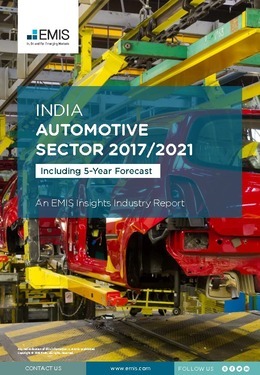 This report provides a complete and detailed analysis of the automotive sector for India. EMIS Insights presents in-depth business intelligence in a standard format across countries and regions, providing a balanced mix between analysis and data.